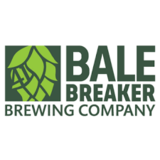 The first Triple IPA brewed by Bale Breaker hits like a volcanic eruption of the finest Yakima Valley hops. Experience an explosion of hop flavor and aroma with each sip, thanks to a heavy dry-hop addition of Mosaic, Equinox, and Citra. Be careful, folks… Mount Saint Humulus just might blow your top right off.